Many scuba divers rely on more experienced divers to navigate the waters, but just imagine how liberating it would be if you could be the one to lead the way. Not only would you feel safer and more confident on your dives, but you could, one day with more training and experience, become the dive guide you used to rely on. It certainly isn’t a skill that comes overnight. 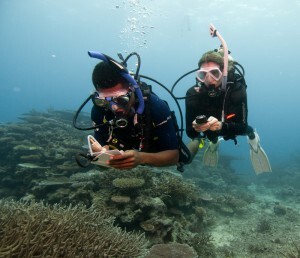 There are many techniques for underwater navigation, including the use of underwater features – like direction of current, interesting landmarks, depth variance and ripples in the sand. 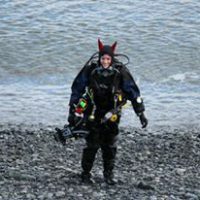 But even the best diver can easily get muddled when relying on visual cues alone, especially in poor visibility or in a featureless environment. 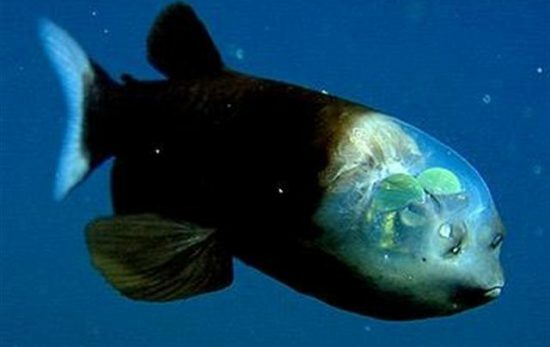 So, following the underwater road sometimes calls for more reliable methods such as using a compass, and while this technique is not difficult, it takes some time to master. 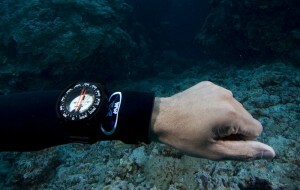 Using a dive compass underwater is not too different from how you would use a compass on land. First, you make a note of your bearings from the surface (from the shore to a pinnacle you want to dive, for example) then once you’re under the water, you’ll be set for the correct course towards your destination. Many compasses will have rotating bezels which provide visual markers to help you follow the correct bearing, and to make it easier to work out the reciprocal bearing for your way back home. There are some important things to remember when using a dive compass underwater, though; you’ll need to keep the compass as steady as possible and, if you’re diving in a current, you’ll need to adjust your finning angle in order to avoid being pushed off-course. Finally, you’ll still need to be aware of your surroundings; a compass will help you follow the direction of your destination but you’ll need to make sure you’re at the right depth to hit your mark. If you want to become an expert at navigating the seas from a new perspective, enrol in the PADI Underwater Navigator course. You will learn how to navigate the waters naturally and by using compass. Throughout the course, you will learn navigation patterns, underwater map marking, how to estimate distance, how to mark or relocate a submerged object and dive site relocation. 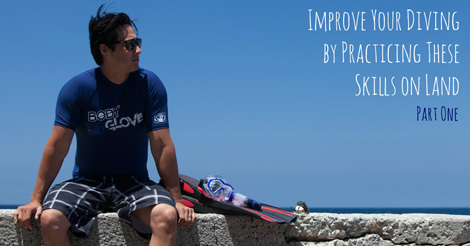 With your new found skill set, you will be able to confidently lead the way on your next dive. Visit your local PADI Dive Shop to learn more about the PADI Underwater Navigator specialty course.